Job searching is stressful to begin with – add in the feeling of betraying your current employer, and it can be downright overwhelming. Job searching while currently employed can be challenging and, quite frankly, a little scary. You don’t want your boss to know you want out. Whether you are unhappy in your current position or on the job hunt for another reason, follow these tips so your boss won’t find out. If you’re job searching, make sure not to do so on your current employer’s time. Not only will this help you keep your search under wraps, it will avoid possible conflicts or repercussions. If you absolutely must take a call during work time, even if the office is empty, step outside of the building to take the call in privacy. Beyond causing possible problems or resulting in termination, it is disrespectful to be openly job searching while still on the clock. If you are always producing quality and timely work, a change in that pattern will catch the boss’s attention right away. Even if you are planning on leaving your current job, you shouldn’t plan to leave on bad terms. Part of leaving on a high note is producing great work all the way to the end. Producing poor work may also result in a one-on-one with the boss about what’s up, which puts you in between a rock and a hard place. Clearly, you wouldn’t change your status to “unemployed” on LinkedIn, but there are other red flags your social media can set off to your boss. If you go from posting only about pop culture and food, to posting about your skills and all of your accomplishments, your boss may get suspicious. If you feel the need to clean up your profiles a little, do so in a way that doesn’t stray from your usual brand. The rule on this one is a good mix. You can brag a little or share some professional articles without worrying your boss. This one can be really hard. A lot of times, coworkers are like a second family and share with each other so much about their lives. If you work in an environment where you can talk to your coworkers about anything, this may be especially hard. Telling anyone at work will just heighten the chances of management discovering your search. Though you may trust your coworkers, it may change the way they act around you or speak about you without them even realizing it. Keeping your coworkers in the dark also confirms they won’t accidentally slip the news to the boss. Plus, if the boss asks them if there’s something up with you, they can confidently answer no, or not that they are aware of. Don’t worry, you will reveal the secret when the time is right. Most companies are always scouring job boards looking for new talent, and you wouldn’t want your company to come across your resume. Be careful when you are applying to jobs that you are not posting your resume on a career board. Even if you think it is private, companies who pay job sites to seek out resumes may be able to see it. This will prevent recruiters and HR managers at your company to find your resume as they look for other new hires. You should only submit your credentials to secure job applications or through email if you are currently in a job. When working with a recruiter or any other career service, make it clear that you would like your search to be confidential. 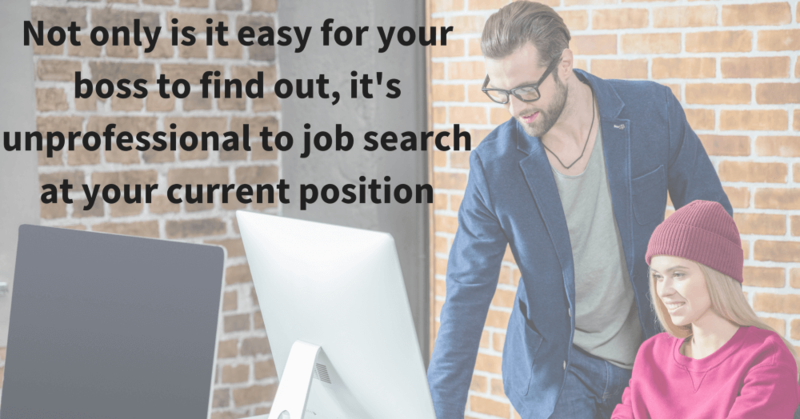 You don’t want your name popping up in a Google search for a job or resume search website. If you explain you are currently employed, anyone you’re working with should be respectful of that. This also goes for references. Since you can’t use your current boss as a reference, reach out to old managers, mentors or coworkers to speak to your skills and personality. Need help keeping your job search off your boss’s radar? 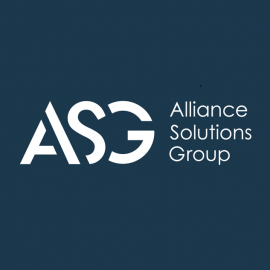 Alliance Solutions Group recruiters are experts at discrete job searches, and will send you on your way to a dynamic, new opportunity. Contact us today and get paired with your career advocate. A skills gap is the “mismatch between relative supply and demand of skills across U.S. cities.” When there is an abundance of skills, that means supply (skills) exceeds demand (open jobs).